Here at My Nametags we are constantly striving to be as eco-friendly as possible from encouraging our employees to cycle to work to heating the office with recycled water. All of our labels are free from BPA and Phtalates which is better for children and also for the environment. As you know, the print on our My Nametag labels and stickers is extremely resistant. Our iron-on and stick-on labels will stay on and therefore won’t pollute the environment. Check out our new eco-friendly packaging! We thought you should be the first to know that we are going to upgrade our packaging. The pack that you receive your My Nametag labels in will be made of easily recyclable card instead of plastic. By labelling all your things from clothes and shoes to bags, pencil cases and mobile phones you are as a family much less likely to lose stuff. This means you can save the environment by not having to buy new items. This is especially true of easily lost items like water bottles. Our mantra is reduce your waste, buy less, reuse more because you have labelled your things! If you need labels we can get them to you super quick whether you choose stickers or iron-ons. My Nametags labels are bright, hard-wearing and waterproof. To buy and customise our labels go to www.mynametags.com to see our full range of designs and products. Without doubt the best way for children to truly ‘understand’ maths concepts is by using a very practical approach. This way you will bring maths to life so children can make sense of why the subject is important. Playing simple, fun games at home can reap benefits for your children in the classroom, teachers say. Knowing your number bonds or pairs off by heart such as 8 + 2 = 10 or 16 + 4 = 20 is one of the key learning steps for your child, says Sarah Sinclair, primary school teacher. An easy way of reinforcing these are to make up a set of cards 0 to 20 and you can play all sorts of games. Memory games, snap, addition and subtraction, find the pair etc. 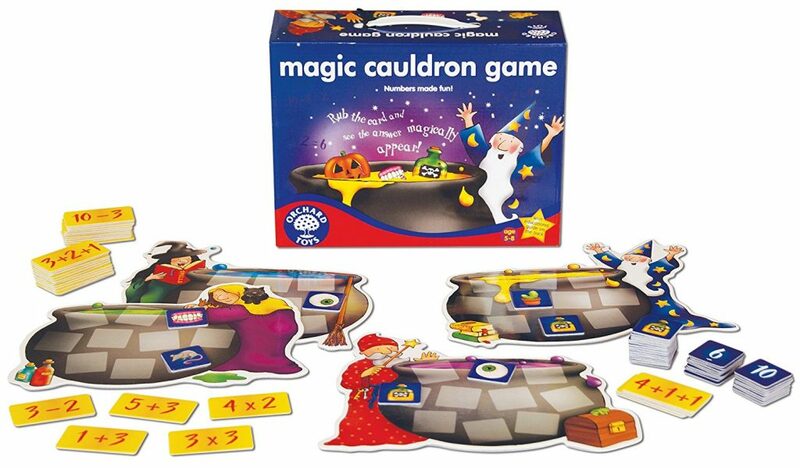 Alternatively Sarah recommends Orchard Toys Magic Cauldron game. 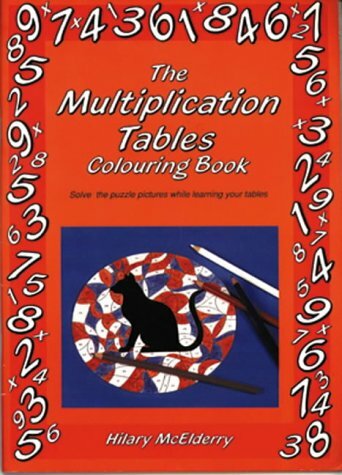 Learning your times tables can be a real chore but this book is a classic and will teach your child while they colour. All the pictures hide a shape that can be revealed by colouring in the multiples of a certain number. Age 6+ The Multiplication Tables Colouring Book by Hilary McElderry. Division really means learning about sharing. One of the best ways to do this is to gather items you can use to count with such as grapes, conkers, cutlery, buttons etc. 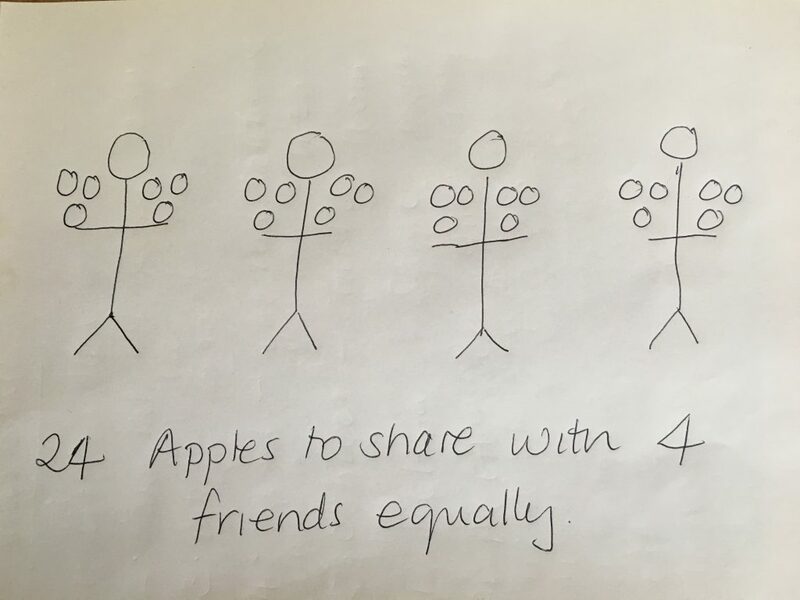 Then ask your child to share them equally between 2, 3 or 4 or more people. Make it fun by dividing up an apple or pizza and ask your child to share it. If there are any are left over this will prompt a discussion about ‘remainders’ and that not every number can be shared equally. 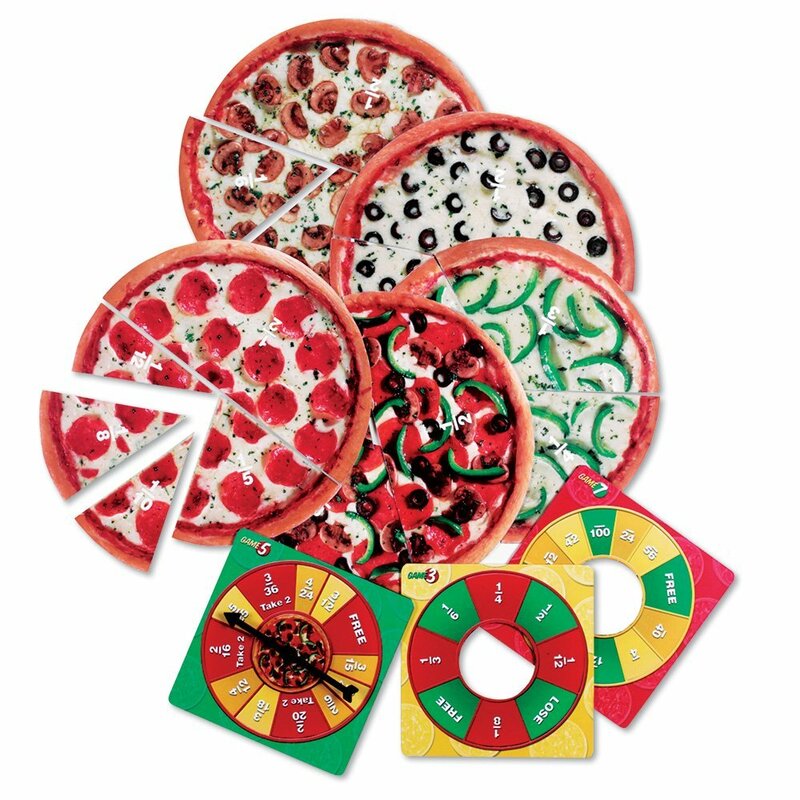 Alternatively, there’s a great Pizza Fraction Fun Game you can play that helps with division and understanding the concept of fractions. Quite possibly the best way to illustrate weights and measures is to cook with your children. My children from an early age have loved making cakes, getting out the scales and measuring the flour, sugar and butter. 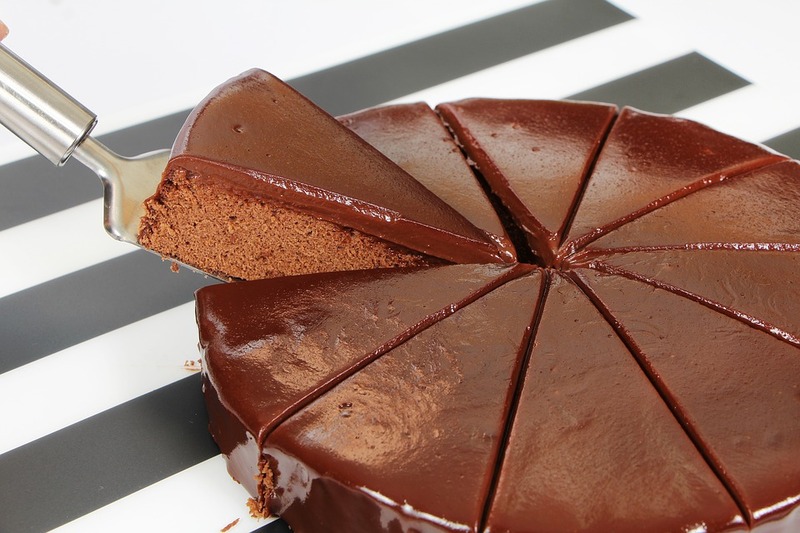 Even better once it is baked you can practice your division skills by sharing it out! Simply reading a bus or train timetable can really help children understand the concept of time and the 12 and 24 hour clock. Or if you are in the car using a sat nav ask your child to work out how long the journey will take and how much longer it will take if you stop for 30 minutes etc. At home using a play clock can also help reinforce the concept of time. 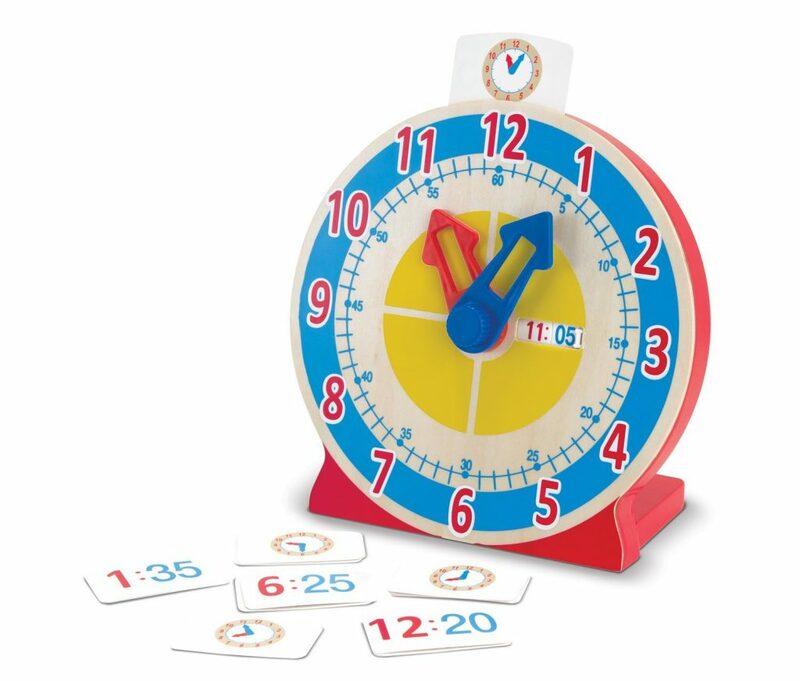 We love this one from Melissa & Doug Turn & Tell Wooden Clock. One of the best ways to introduce the idea of money is to talk about it when you go shopping. Get them to work out how much two items in your trolley will cost together. Ask your child to use their pocket money to buy something in a shop and work out the change as it all involves adding and subtracting and working out which coins/notes to use. All children love playing shops. 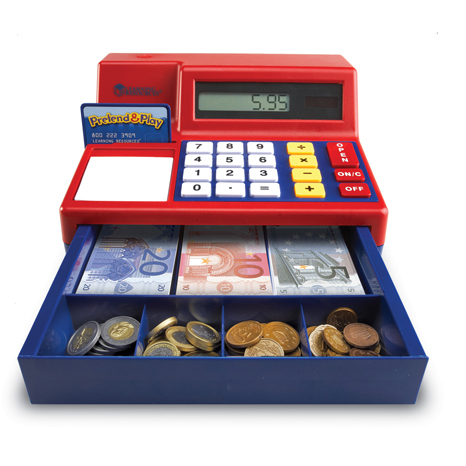 Invest in a Pretend & Play Calculator Cash Register with Euro Money and you will have hours of fun. Parents can help by breaking up word problems, perhaps by drawing a timeline or splitting it into bullet points, says Tash Rosin founder of Teatime Tutors. Even if your child is confident with their number pairs, presenting the sum in a word problem will add a whole different dimension. By illustrating the word problem you will be able to help your child spot which calculations they need to perform to solve the problem. It’s so easy once the nights draw in to forget about the great outdoors but research has shown that spending time outside is very beneficial. Not only will you and the kids get some sunshine and stock up on vitamin D before the winter months, being with nature is known to help with everyday stress and anxiety. Here’s our round up of the best things to do outside this autumn. 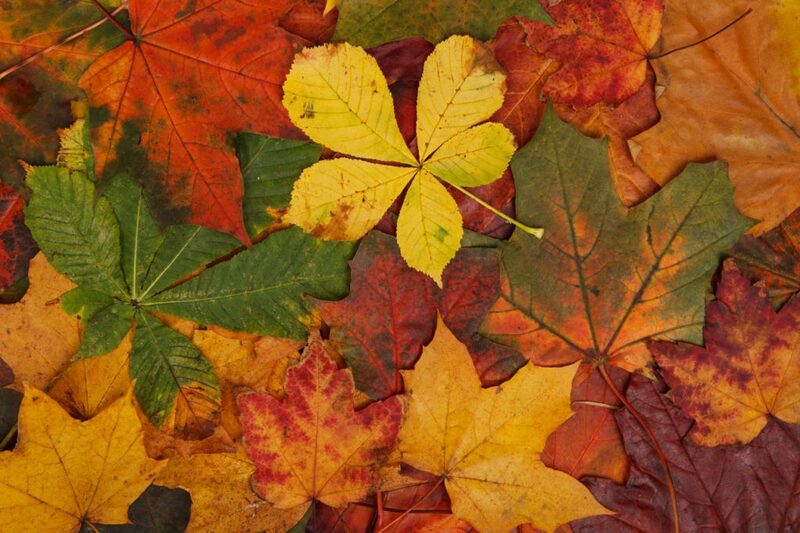 Go for a walk and find lots of different autumn leaves on the forest floor. 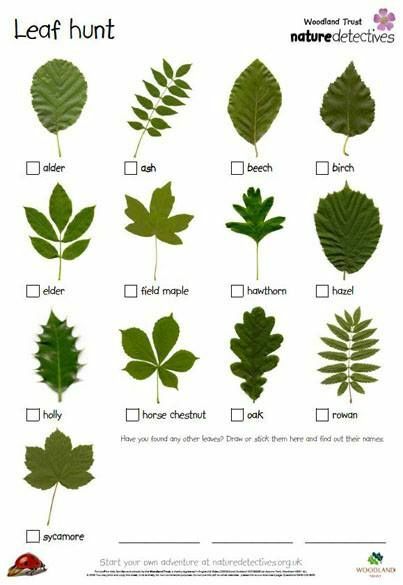 Try to find as many different leaves as you can and have fun identifying them all. Then take them home and use them to create your own art work from pictures with real leaves to forest creatures with faces or turn them into a forest crown. Kids love nothing better than creating their own woodland hideaway. 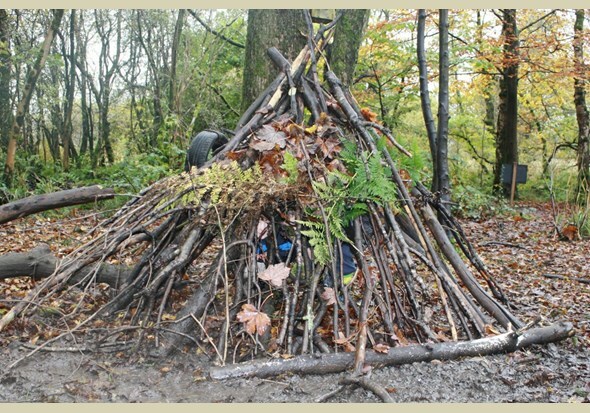 Use branches, leaves and twigs to build a sturdy den. “Remember, never cut anything down or damage the wood to construct your den, says The Woodland Trust. Here their top tips for building the best den! Find a good foundation – look out for a strong tree with suitable knobbly bits. 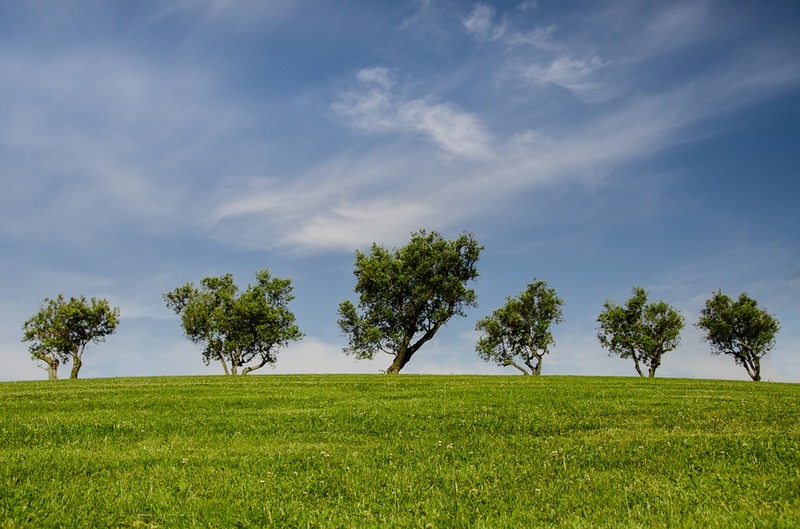 Build your framework – find a couple of large branches and wedge them against the tree or use the trees branches instead. Protect from the elements – use smaller branches and twigs to cover your den. Push them into any gaps so that your den shelters you from the wind and rain. Children love going to the beach and are often fantastic at picking up litter. Combine the two and find things to recycle on the beach. Or join forces with an organised beach and river clean. 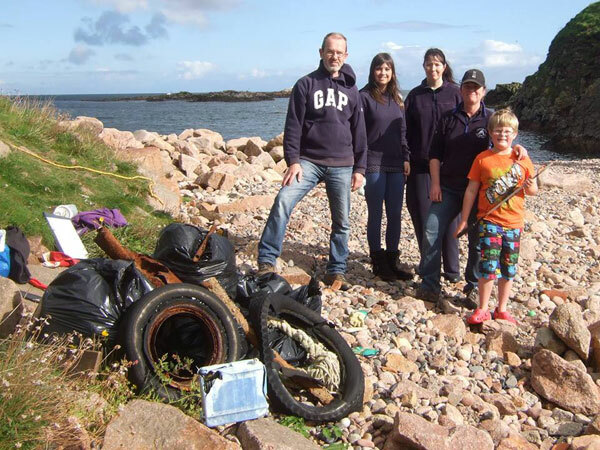 The Marine Society UK is organising the Great British Beach Clean over the weekend of the 15th-18th September. You can attract beneficial insects and other creatures into your garden and add to garden biodiversity by building a bug mansion or even a more humble abode! To cater for a variety of bugs put your hotel where it will get some sun and shade, perhaps partially under a tree or hedge. Build a firm base. Try to use recycled or reclaimed materials. You can fill the gaps with dead wood, old bamboo canes or hotels drilled into blocks of wood make good nests for solitary bees. Straw, hay, dry leaves and loose bark also make great places for beetles, centipedes, spiders and woodlice to stay. 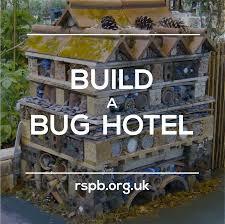 The RSPB has a great step-by-step guide. 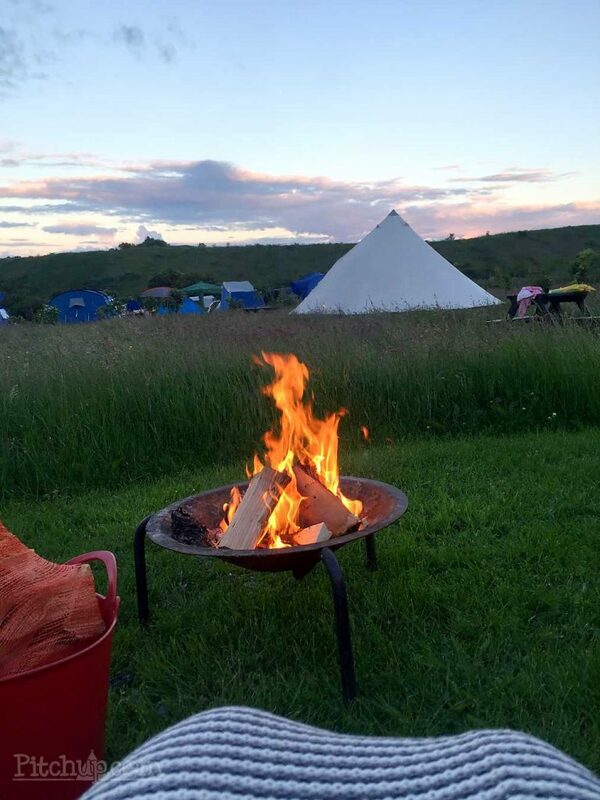 If the weather is good head off for the weekend to spend days and nights outdoors camping! Catch the last of the autumn rays and toast marshmallows around the campfire. Children love being outdoors. Find your perfect campsite on Pitch Up. Some children just don’t find maths particularly easy to understand, especially after the summer away from school. Keeping young minds ticking over is a great idea and if you can find something that is fun and adds to learning, all the better. Here’s our top seven maths books which will help your children love the subject. This book is a great way of helping your child with mental maths at home. Doing one column of questions each day (1-2 minutes) will help improve speed and ability. This is one of a series of Mental Maths books. 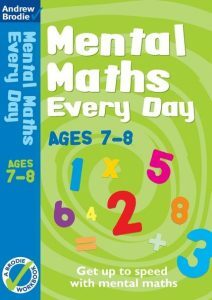 Age 7-8 Mental Maths Every Day by Andrew Brodie. 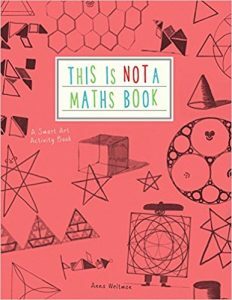 This is a fantastic book that manages to combine creativity with a series of maths calculations. It’s sure to convince kids that maths can be as fun as art. Age 7+. This is Not a Maths Book by Anna Weltman. A world of adventures and maths questions come together in this fabulous book. Children have to answer mathematical mysteries to save the Golden Hoard of treasure. 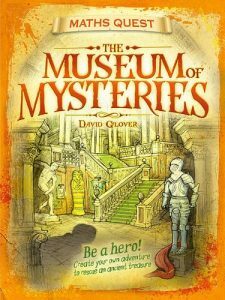 Age: 8+ Maths Quest: The Museum of Mysteries by David Glover. See also The Cavern of Clues and The Planet of Puzzles. This book is full of games and tips that will prove to your children that maths can be really good fun and is part of everyday life. Age 4-14 Maths on the Go! 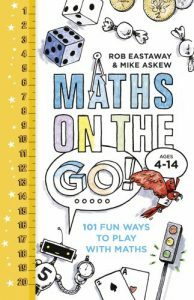 101 Fun Ways to Play with Maths by Rob Eastaway & Mike Askew. Your child will love solving word, number, memory while strengthening their maths skills. Lots of number puzzles like Sudoku and Kakuro. 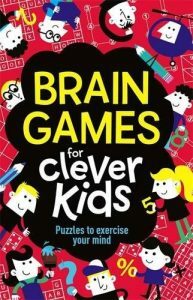 Age: 8+ Brain Games for Clever Kids by Gareth Moore and Chris Dickason. This book will help all those parents who want to understand the different methods to do arithmetic their children are learning. It will also help you understand why they are being taught that way. It’s easy to read and humorous too. 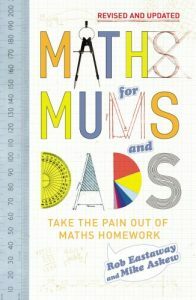 Maths for Mums and Dads by Mike Askew and Rob Eastaway. We’ve lost countless flip flops and swimming goggles on holiday not to mention the odd iPod and mobile phone. But this year we will be well-armed with some of My Nametag’s new travel-themed labels to get us in the holiday mood. Don’t forget to label your luggage. There’s nothing worse than looking for that elusive black bag on the luggage carousel. We think our labels will make your bags, from suitcases to backpacks, stand out from the crowd (and hopefully harder to lose…). Why not add an address or phone number? Whether you’re going on a day trip or a week away be sure to label your child’s pram to avoid any confusion when you’re out and about. Our labels will stick onto travel cots, car and booster seats as well as baby bottles and water bottles. If you’re anything like us, everything is spread across the beach by the end of the day. Use our stickers to label everything super quickly. They’ll stay in place on wet clothes and in the sun too. For beach towels and swimsuits stick them onto the care label. Never lose another pair of sunglasses, goggles, flip flops or your snorkel again. Phone chargers are always going missing in our house and it only gets worse awhen we’re travelling. You should label up your phone, MP3 player, tablet and camera whether you’re travelling or not.